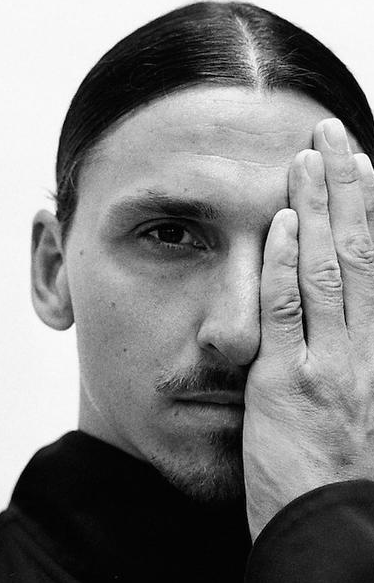 Zlatan Ibrahimovic is a Swedish professional footballer. 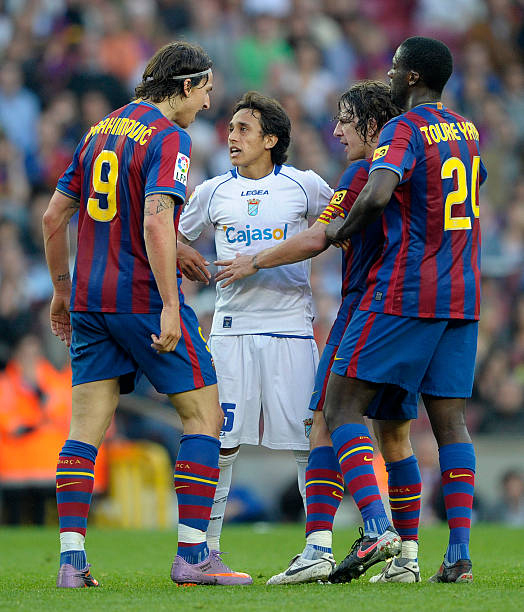 He was a member of the Sweden national team, making his senior international debut in 2001 and serving as captain from 2010 until he retired from international football in 2016. 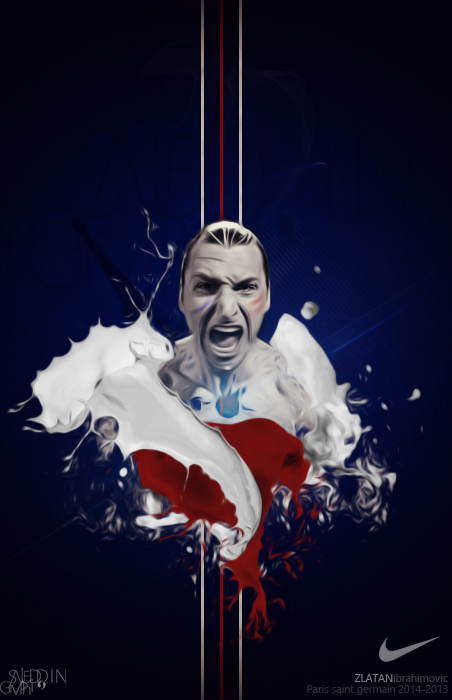 Primarily a striker, he is a prolific goalscorer, who is best known for his technique, creativity, strength, ability in the air, and his powerful and accurate striking ability. 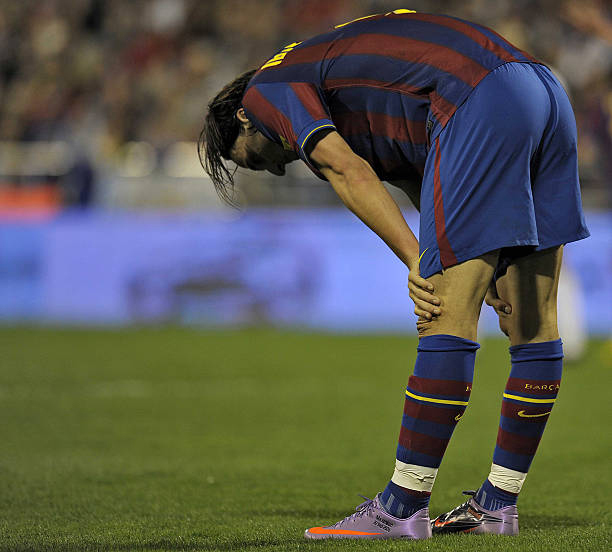 As of February 2017, he is the second most decorated active footballer in the world, having won 33 trophies in his career. 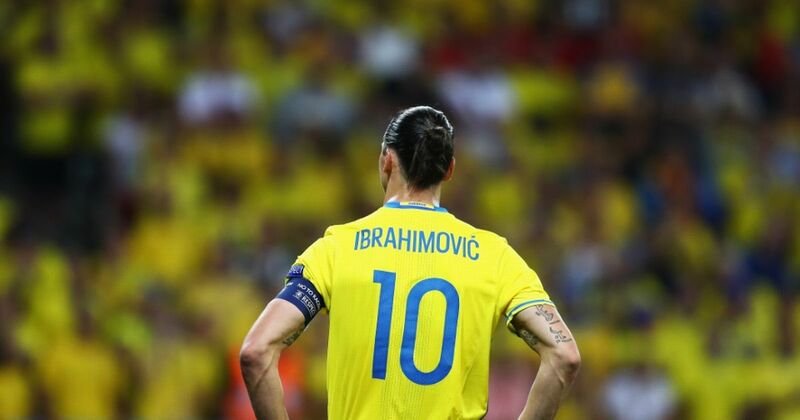 Ibrahimović is one of ten players to have made 100 or more appearances for the Swedish national team. He is the country’s all-time leading goalscorer with 62 goals. 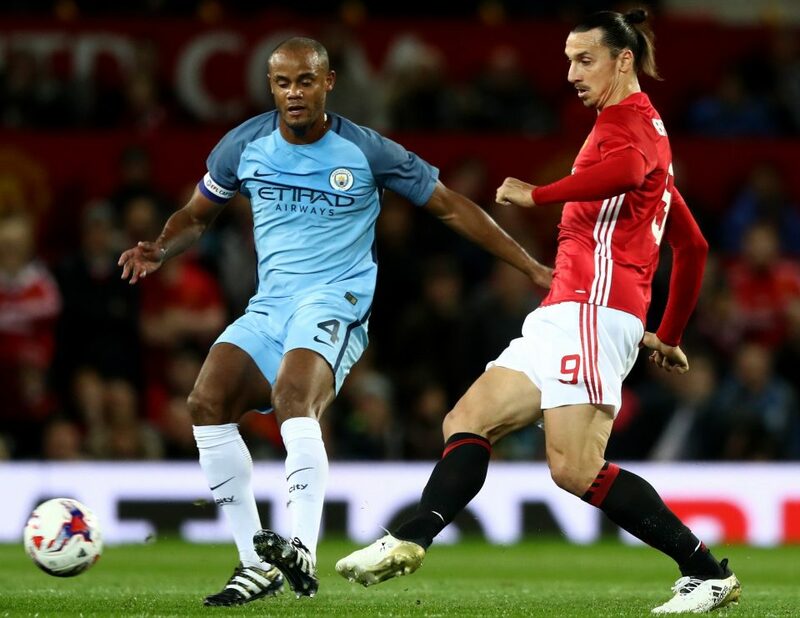 He represented Sweden at the 2002 and 2006 FIFA World Cups, as well as the 2004, 2008, 2012, and 2016 UEFA European Championships. 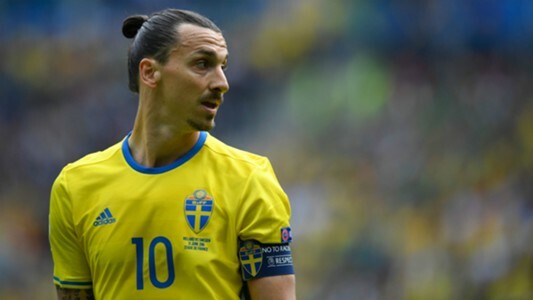 He has been awarded Guldbollen (the Golden Ball), given to the Swedish player of the year, a record 11 times, including 10 consecutive times from 2007 to 2016. 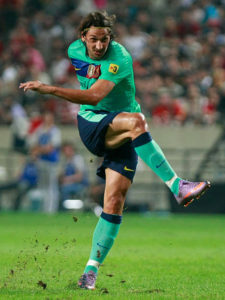 With his playing style and acrobatic finishing compared to Dutch retired striker Marco van Basten, Ibrahimović is widely regarded as one of the best strikers in the game and one of the best footballers of his generation. 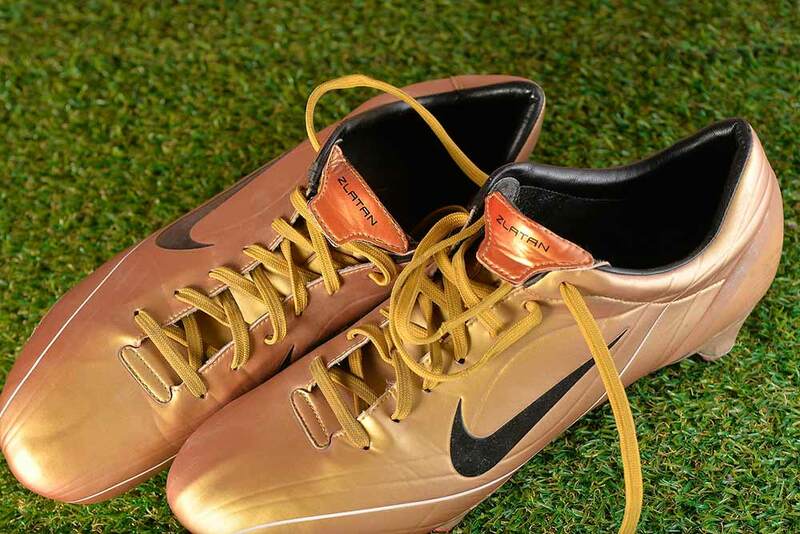 His spectacular bicycle kick for Sweden against England won the 2013 FIFA Puskás Award for Goal of the Year. 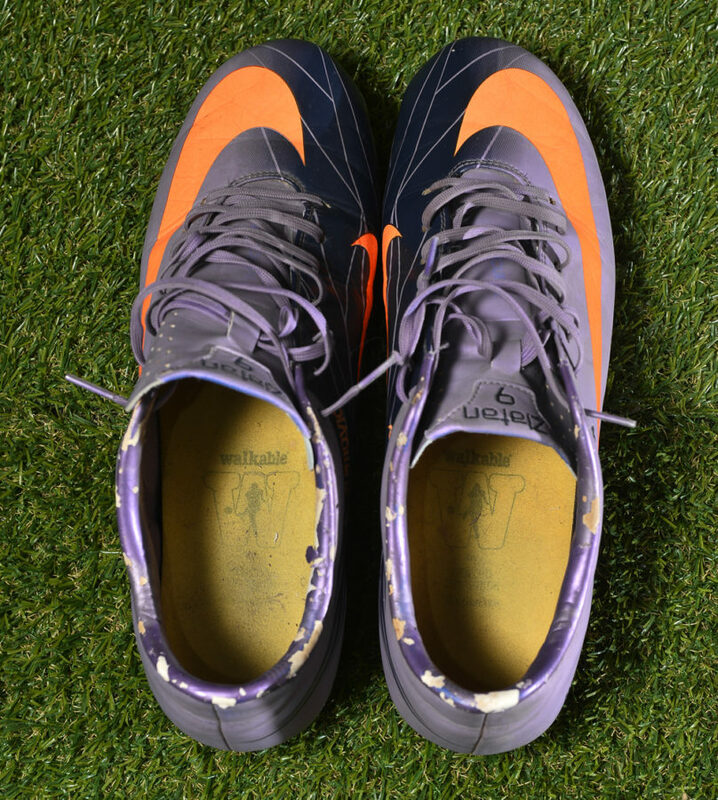 Off the field, he is known for his brash persona and outspoken comments, in addition to referring to himself in the third person. 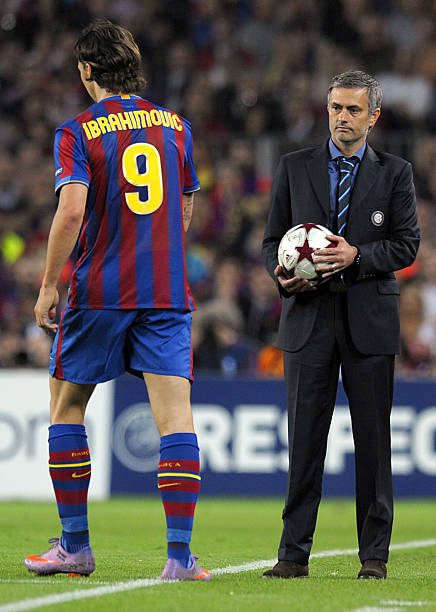 In December 2013, Ibrahimović was ranked by The Guardian as the third-best player in the world, behind only Lionel Messi and Cristiano Ronaldo. 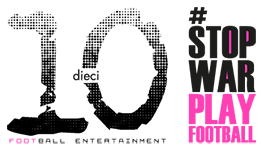 In December 2014, Swedish newspaper Dagens Nyheter named him the second-greatest Swedish sportsperson of all time, after tennis player Björn Borg. Ibrahimović received an honorary black belt in taekwondo; he attended classes at the Malmö Taekwondo club Enighet (English: Unity) as a child. Ibrahimović is fluent in five languages; Swedish, Bosnian, English, Spanish and Italian. He has stated that he is a Catholic. 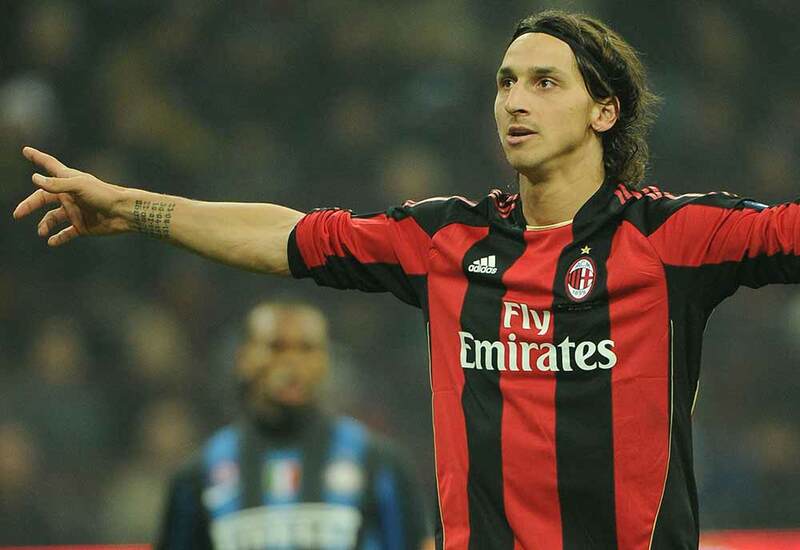 Ibrahimović moved from Ajax to Juventus for €16 million. 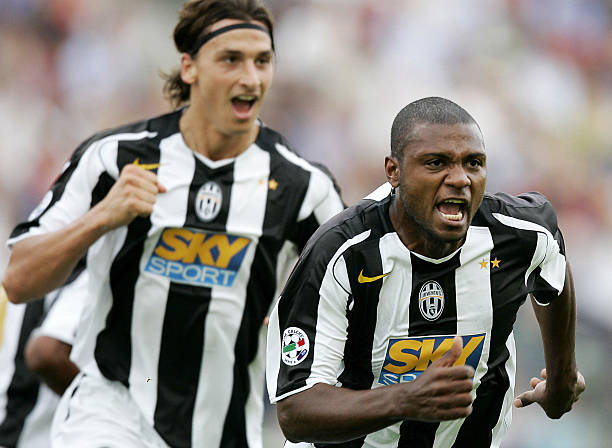 He was promptly inserted into the starting eleven due in part to top scorer David Trezeguet’s injury problems, and scored 16 goals. Near the end of the season, Juventus reportedly rejected a €70 million bid for him from Real Madrid, which was later revealed to be a publicity stunt initiated by Ibrahimović’s agent, Mino Raiola, in order to increase his market value. 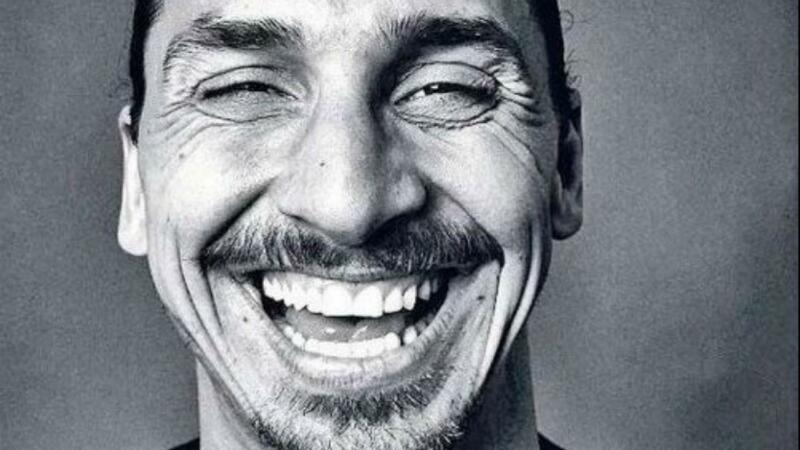 On 14 November 2005, he was awarded the Guldbollen, a prize awarded to the best Swedish footballer of the year. 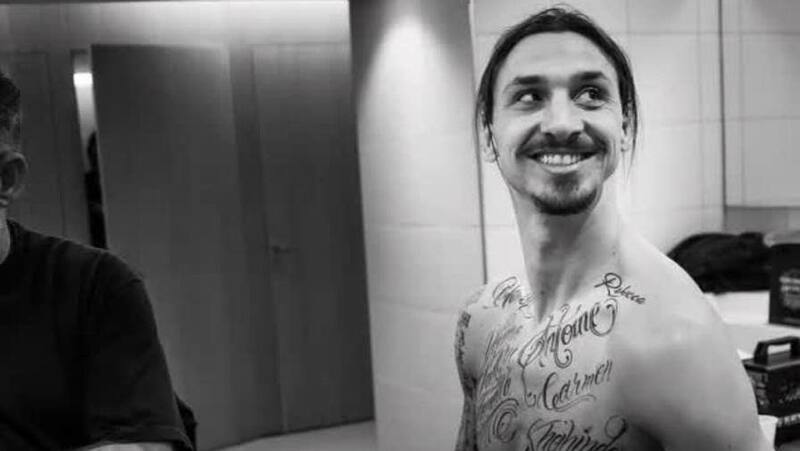 The name “Zlatan” was trademarked in May 2003 at the Swedish Patent and Registration Office for “most likely being perceived as Zlatan Ibrahimović”, which meant that he received exclusive rights to the name for certain products, including sporting goods, clothing, and shoes. 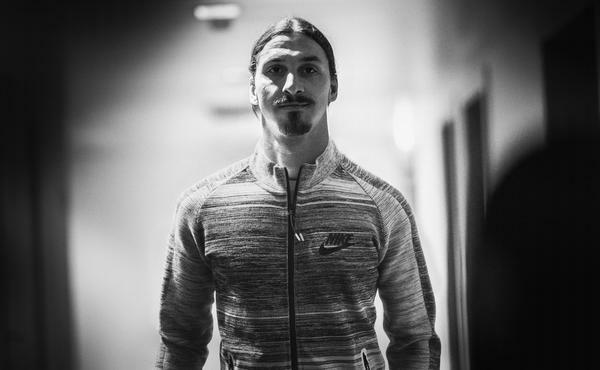 Ibrahimović is under contract with Nike and features in their television advertising where he has appeared alongside other players in the Nike stable including Cristiano Ronaldo, Neymar and Wayne Rooney. 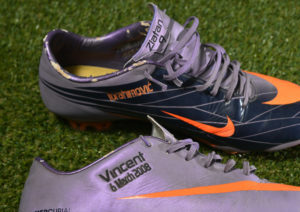 He wears the Nike Mercurialboot line and has the names and dates of birth of his sons embedded onto the external sides of his boots. 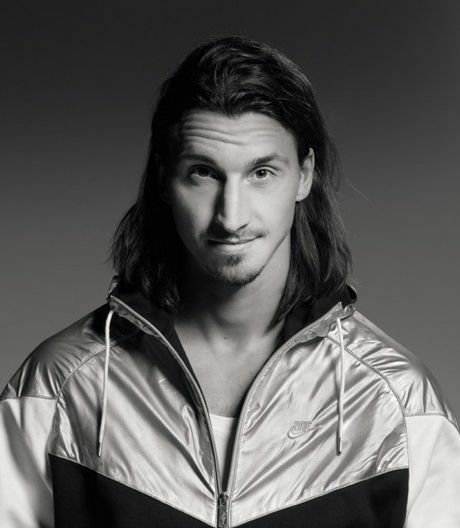 In late 2007, Ibrahimović, with the help of Nike, self-funded Zlatan Court in the streets of the city district Rosengård in his hometown Malmö: he provided a playing mat, goalposts, lighting and a modern fence. 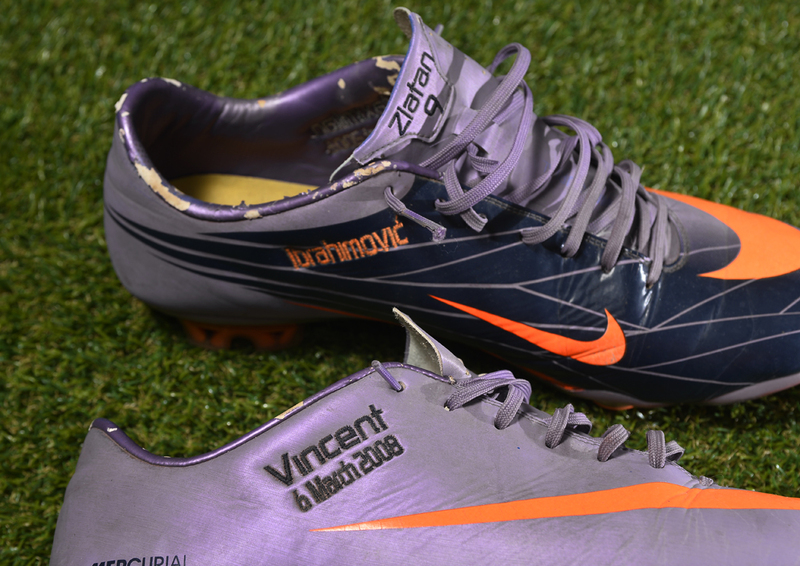 In 2008, he donated new Nike kits to his youth club, FBK Balkan. 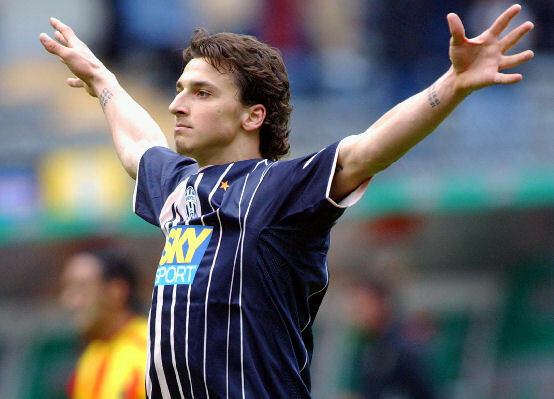 Zlatan Ibrahimovic was sponsored for most of his career by Nike. 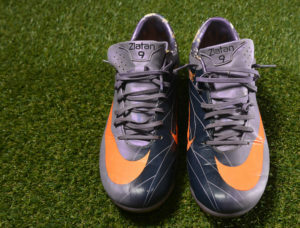 But it happened to see him wearing Adidas boots everytime his contract with Nike expired and before he signed the renew. 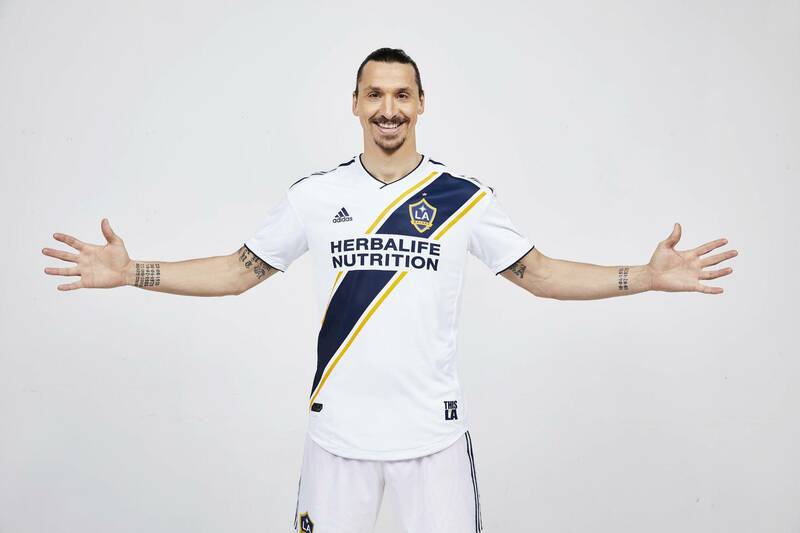 Does it mean Zlatan preferred Adidas boots or it was only his agent Mino Raiola’s trick to get more money from Nike? 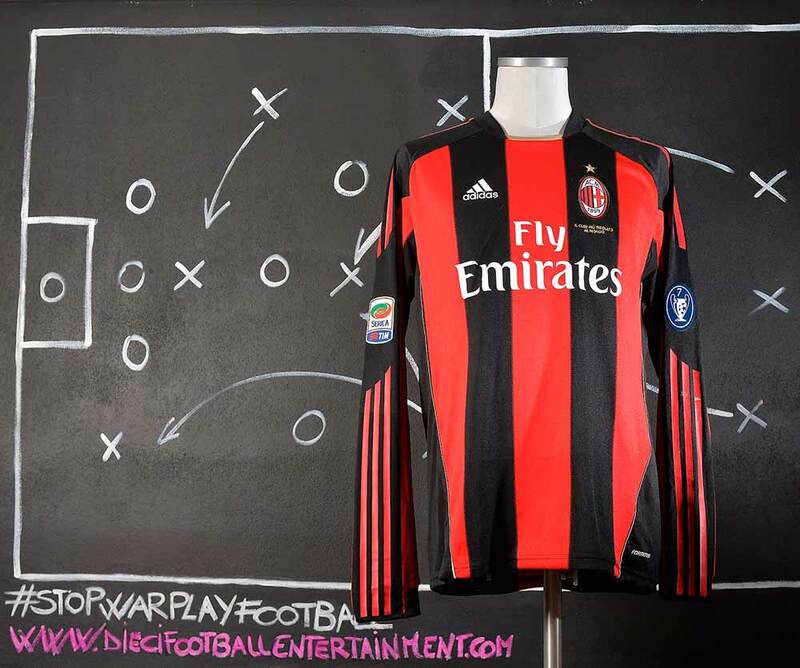 This shirt’s style was never used during the Champions League 2004-2005. It was issued but never worn. 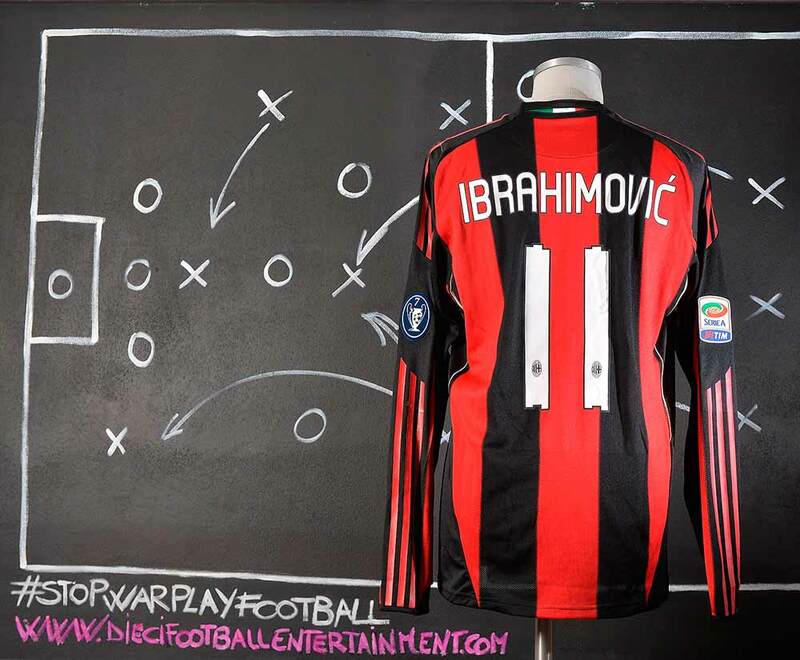 In his first Juventus’ season Zlatan Ibrahimovic was the best Juventus Serie A top scorer with 16 goals. 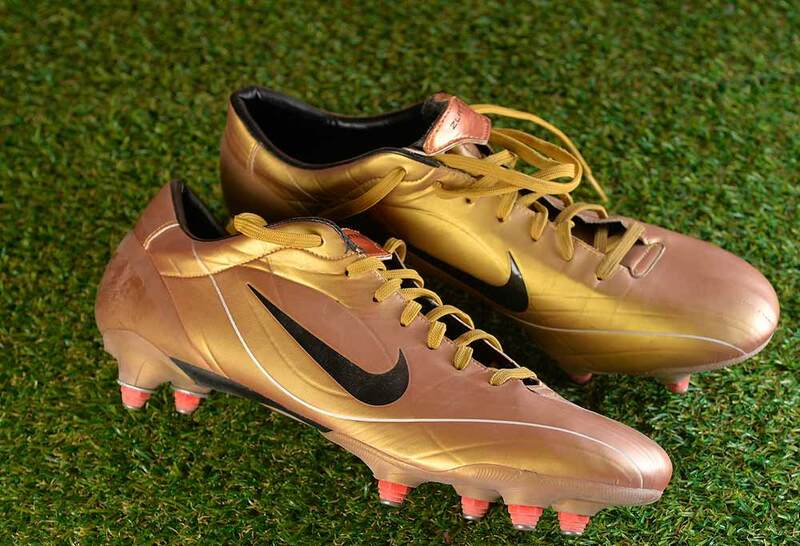 Alessandro Del Piero scored more season’s goals during the season (17 goals) including all of the competitions. His surname is tattooed in Arabic on the back of his right arm, the names of his sons Vincent and Maximilian on his right arm. He has the common Buddhist “Five Deva Faces Yantra” representing wind, water, fire, creative perception and space, arranged in a way believed to ward off illness and injury, on his lower back. Another Buddhist tattoo, a “Yant Prajao Khao Nirote” is a protective emblem intended to end the suffering of a family, is on his upper right arm. The phrase ‘Only God can judge me’ is tattooed on his rib cage, said to reflect the player’s ‘religious and rebellious’ nature, taken from 2Pac. He also has a feather, a Koi fish, Polynesian tribal, and ace of hearts and clubs.